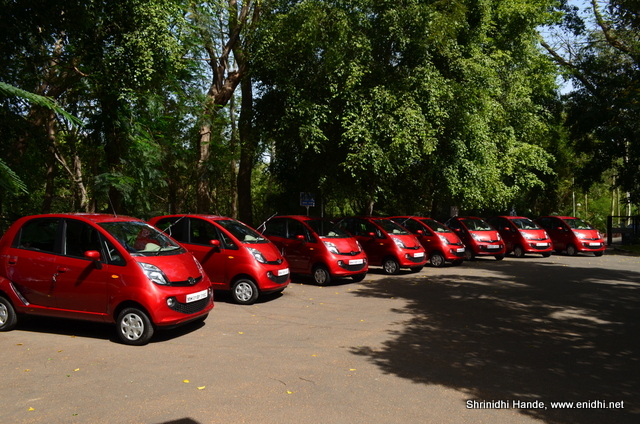 Srilanka seems to be a very good market for Tata Nano. During my previous trips, I have seen Tata Nanos in Colombo Airport, Nano Taxis in the country and many more Nanos on the road. The latest news is GenX Tata Nano Automatik has been recently introduced in Srilanka, about an year after its home market launch. The latest GenX Tata Nano is a smarter and feature rich avatar of the hatchback. It gets electrically assisted steering, a 20 litre fuel tank (compared to 15 earlier) for better range, an openable boot, infinity shaped premium interiors, an all new smiley front facia, enhanced instrument console and many more. Nano Automatik comes with 4 speed manual or five speed the auto gear or AMT (Automated Manual Transmission). GenX Tata Nano Automatik will be one of the most affordable automatic cars in Sri Lanka. 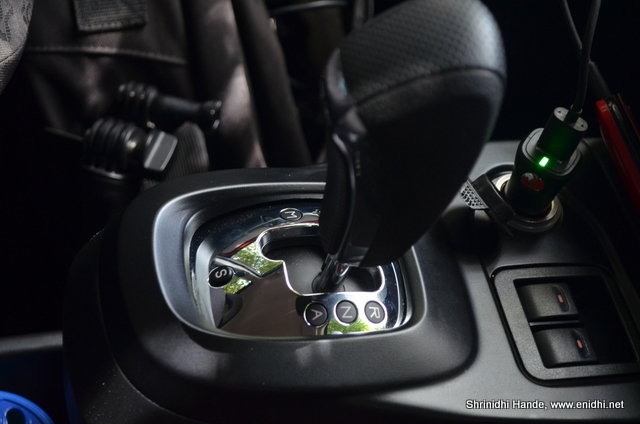 Nano Auto gets a creep function, even a sports mode and manual mode. In Srilanka, Tata Nano will be sold and serviced by DIMO, Tata's distributor for the island nation. (DIMO stands for Diesel and Motor Engineering Plc, they are also distributors for Mercedes Benz and Jeep in Srilanka. The most expensive XTA variant is likely to have a price tag of LKR 20 lakhs, which is approximately 9 lakh INR. This is about twice the on road price in India, which could be due to transportation cost and local taxes. 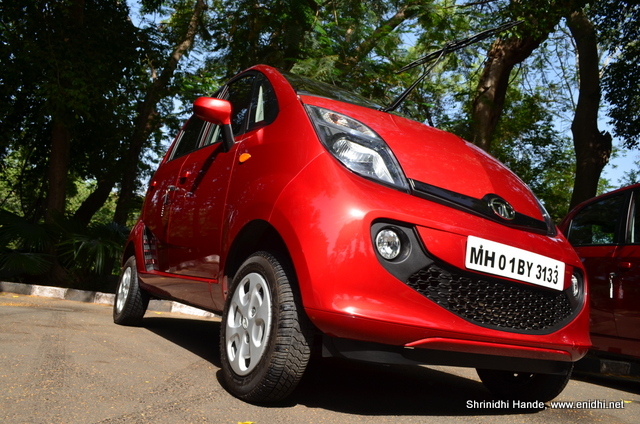 Nano gets a 38 PS, 624 cc engine rear mounted engine mated with 4 speed manual or 5 speed AMT gearbox. Colour options include Platinum Silver, Dazzle Blue, Damson Purple, Sangria Red (most popular one and the communication colour) and Pearl White. Tata -Nano has failed to make it -you can see the results in india ,its been so many years since its launched.and finally the admission by tata motors- http://indianexpress.com/article/business/companies/tata-motors-defends-strategy-for-loss-making-rs-1-lakh-nano-car-3738888/ ,after a lot of mudslinging and hand twisting of poor mr cyrus mistry -who wanted to shut it down after years of making a loss for tata motors -only in the best interests of tata motors. Tata Nano GenX automatic car has made it popular favorites among many youngsters and office going people. They prefer this car as it is a small smart city car which offers convenience in driving around. Its low consumption of fuel and low maintenance make it the best hatchback carin Srilanka.